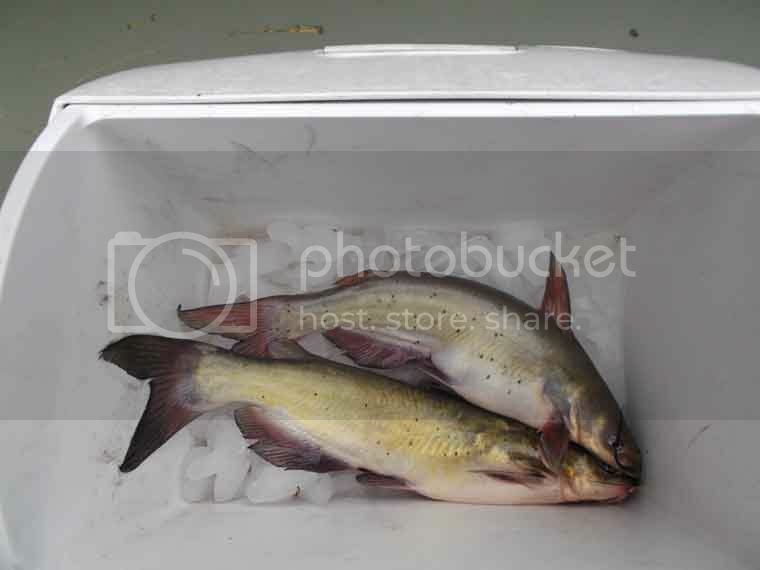 I decided to go and try to catch a few catfish today. Instead of taking the aluminum boat, I decided to take the Swamp Girl. I build it back in 2008 while I was living in Arizona. Pigeon Creek is part of Norfork lake and only about a mile and a half from where I live. I am still trying to figure out this deep and clear lake. 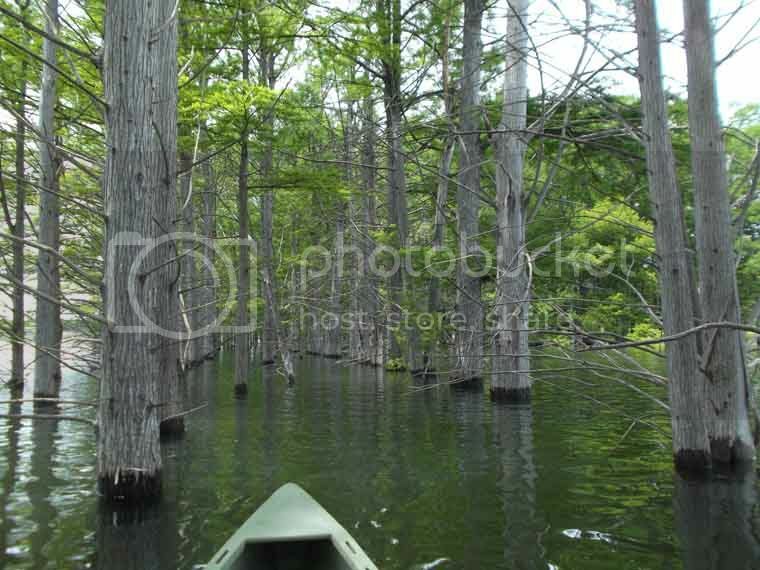 It is really different from the shallow lakes I grew up fishing. 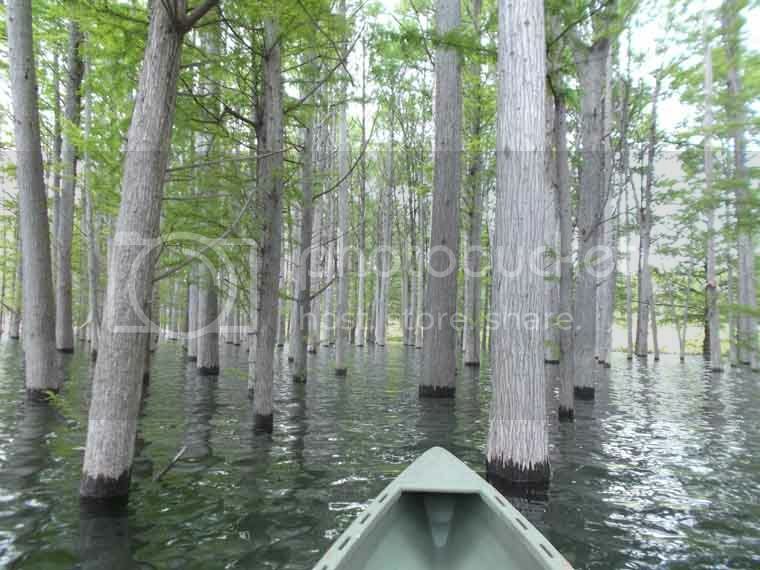 There is a big grove of cypress trees here that were planted some time ago. 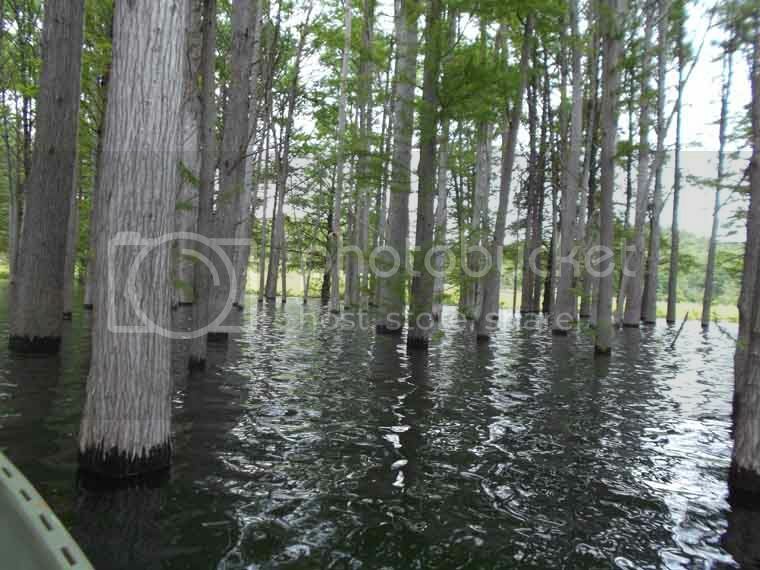 They are the only cypress trees I know of in this area. I set a few limb lines. The lake is pretty high right now, and I was fishing in about 5' of water. The fishing was pretty slow. Two channel cats about 14". Not much to brag about, but they will be good for lunch tomorrow. It was a pleasant couple of hours on the water. I had forgotten what a fun little boat this is. It is maneuverable in the trees, tracks good, turns good and is reasonably fast. I don't know why I don't use it more. 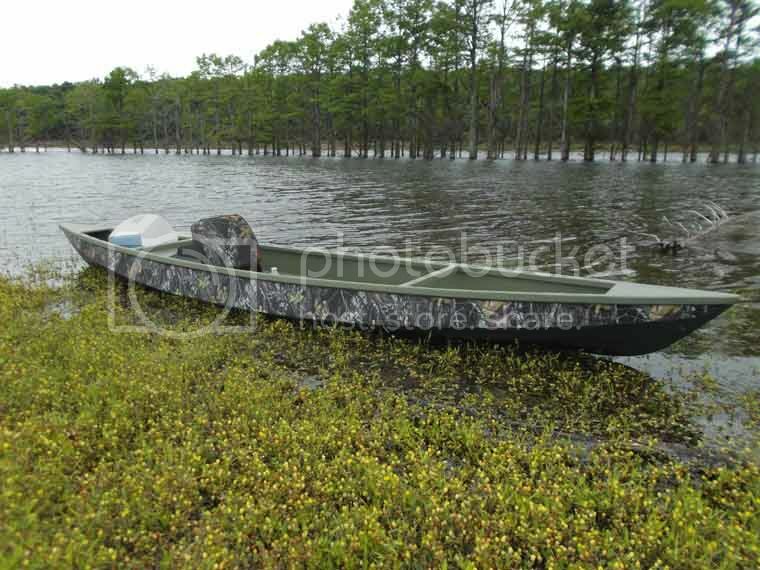 I like what you did to the boat , that is one nice camo job. It appears to be a win - win for you , a good day out on the water with a great boat and you returned with the fixings for a good supper.